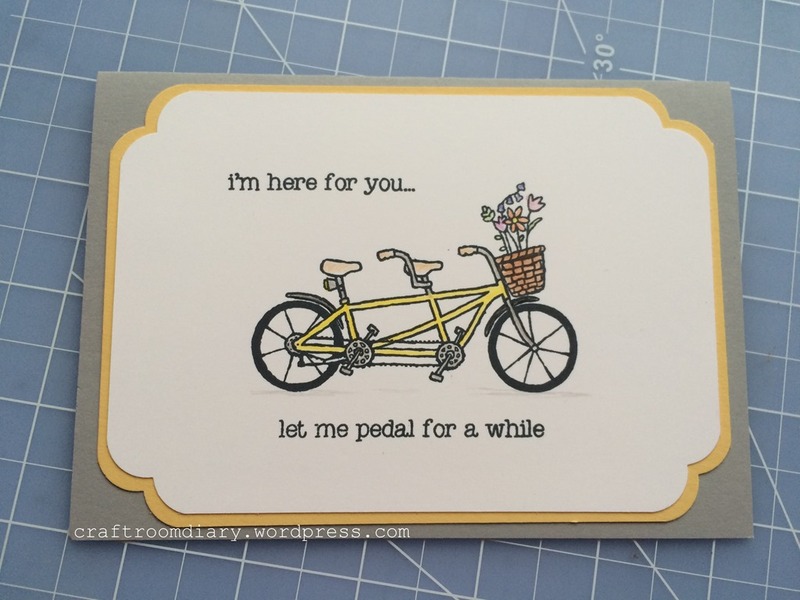 Today the card i am sharing with you, is made using a stamp from Stampin’ Up! i really liked the sentiment and i felt that it was a good one to have in the box ready for any rocky times. I like to let my friends know i am there for them or thinking of them if things are difficult for a while and what better way than a handmade card. I coloured the image with coloured pencils and for a change corner punched the layers to give a different look.